It’s been one hell of a series, but after 13 weeks and more spoilers than you can possibly imagine we have a champion for 2016. And the winner is…. Did the right couple win? Let me know in the comments section or over on Facebook or Twitter. This is your last chance to get involved in the discussion and win a voucher or a tablet! The competition for 2016 closes at midnight tomorrow night! If you haven’t already, you can check out the most talked about spoiler this site has ever run….. The Christmas Special Spoiler. As featured in so many newspapers and magazines! Please also check out my thank you post where I thank all those who have contributed towards another massive year for The Strictly Spoiler. I’ll be announcing the final competition winners on Monday but other than that and the Christmas Special that’s pretty much it for another year for The Strictly Spoiler. Merry Christmas to you all and a happy 2017. I will see you all around August/September time for the pre series build up! Danny and Oti have scored a total of 470 points from the judges across 13 routines which makes for an impressive average of 36.2, the highest of the three finalists and one point higher than their next closest rivals. Danny and Oti have survived one Dance Off during last weekend’s semi final following their Salsa and American Smooth. They opted to perform the American Smooth in the Dance Off beating Claudia and AJ for a place in the final. 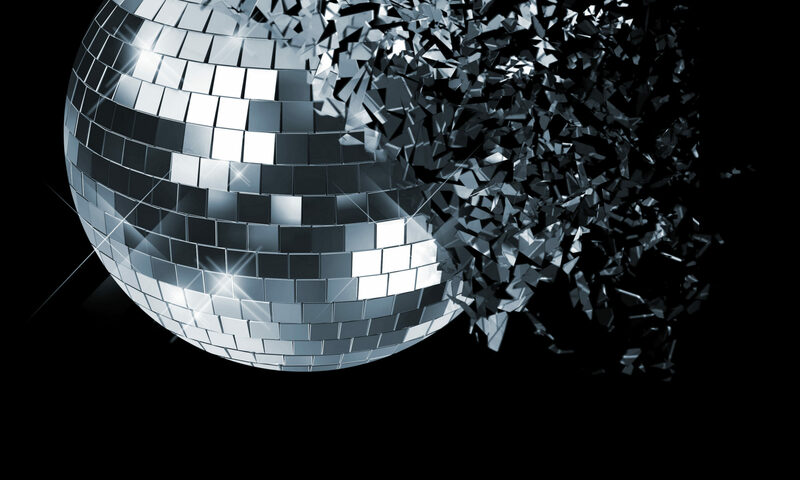 At the time of writing Danny and Oti are 8/11 favourites to lift the glitterball with Coral. If you fancy a flutter Coral will give new customers £20 in free bets when you stake £5 on Strictly or any other market. Can they do it? As I said in my preview of Louise and Kevin if you had asked me before last weekend I would have said that they were primed to take the glitterball without too much effort. But after ending up in the Dance Off it means Louise and Kevin must have outpolled them with the public last weekend and if I’ve got my maths right so must have Ore and Joanne so last weekend they were outpolled by both of the other finalists! That said they’ve won the majority of polls I’ve run this series but haven’t done so as commandingly as last series’ winners Jay and Aliona and there’s been far more of a mix of poll winners this series with all the Semi Finalists winning at least one poll here this series. They are leading the current poll asking who you want to win with 41% of you picking them. All this means it is likely the undecideds who will decide this final and a lot will depend on tomorrow’s final performances with any of the three finalists potentially taking the glitterball depending on their performances in the final and how many undecided floating voters they get to vote for them. It could all be decided in the show dances though and in my opinion Danny and Oti have the best music for a show dance that Oti should be able to choreograph something memorable and spectacular to which will wow the audience. What do you think of Danny and Oti? Are you supporting them? Do you think they can win? Let me know in the comments section or over on Facebook or Twitter. It’s the final week of the Strictly Spoiler competition and your last chance to get involved in the discussion and win a prize. There’s a £20 Amazon voucher up for grabs and you could also win a Kindle Fire Tablet in the final monthly draw. Entries to the competition for this series close at midnight on Sunday 18th December 2016 and all you need to do to enter is get involved in the discussion here, on Facebook or on Twitter. We’re all the way back to Weeks one and three for their worst routines. Their Jive from week 1 scored just(!) 31 points from the judges (8,7,8,8). What were they thinking? Louise and Kevin have amassed a total score of 458 points from 13 routines making for an average score of 35.2. Despite having the best worst dances of the three finalists in terms of judges scores they have the 2nd highest average of the three finalists. Louise and Kevin are the only couple this series to have never faced a Dance Off. Well actually technically that isn’t true because Melvin and Janette didn’t either. Ok we’ll just say that Louise and Kevin have never been in the bottom two after judges scores and public vote were combined. At the time of writing Louise and Kevin are 6/4 second favourites to lift the glitterball with Coral. If you fancy a flutter Coral will give new customers £20 in free bets when you stake £5 on Strictly or any other market. Can they do it? If you’d asked me that last week I’d have probably said no. Danny and Oti appeared to have too much support to be caught but after the semi final I honestly do not know and I personally think it could be anyone’s final depending on how they perform in the final. We do know that to be saved from the Semi Final Dance Off that Louise and Kevin must have got more public votes last week than Danny and Oti and Claudia and AJ. Whether that was down to tactical voting from some people to try and get their favourites into the final or is a genuine representation of the support Louise and Kevin have I couldn’t possibly say. In the current poll on this site 24% of the over 12000 people who have voted want Louise and Kevin to win. They’re lagging some 2000 votes behind Danny and Oti but then my poll at the weekend was predicting a Louise Vs Ore Dance Off so it clearly isn’t fully representative of the voting patterns of viewers. With a strong final it wouldn’t be too hard to see Louise and Kevin take the glitterball and if anyone is going to stop Danny and Oti you would really expect it to be them but who knows. As I said I think this final is a lot wider open than the odds from the bookies and my site polls would suggest and certainly a lot wider open than last years final was during which all Jay and Aliona had to do was turn up and they would have won the glitterball! What do you think of Louise and Kevin? Are you supporting them? Do you think they can win? Let me know in the comments section or over on Facebook or Twitter. It’s the final week of the Strictly Spoiler competition and your last chance to get involved in the discussion and win a prize. There’s a £20 Amazon voucher up for grabs and you could also win a Kindle Fire Tablet in the final monthly draw. Entries to the competition for this series close at midnight on Sunday 18th December 2016 and all you need to do to enter is get involved in the discussion here, on Facebook or on Twitter.